JELLYFISH have invaded the Mediterranean Sea, sparking concern for tourists on summer holidays. The number of jellyfish in the Mediterranean Sea has reached record levels, with 10 times the amount there were just six years ago. Swarms of the sea creatures have been reported on the northern coast of Egypt. The problem is forcing tourists on popular beachside resorts to stay out of the water. Also called rhopilema nomadica, the Nomad jellyfish usually live in the waters of the Indian Ocean and the Red Sea. But speculation is rife the nomads have swum through the Suez Canal, which was expanded most recently in 2015. Jason Hall-Spencer, a marine biologist at Britain's Plymouth University, said: “The primary cause of the invasion of jellyfish is the Suez Canal. The artificial waterway was initially built in 1859 and connects the Mediterranean to the Red Sea. It lies in Egypt’s northeast, but officials in the country don’t believe the canal is to blame. 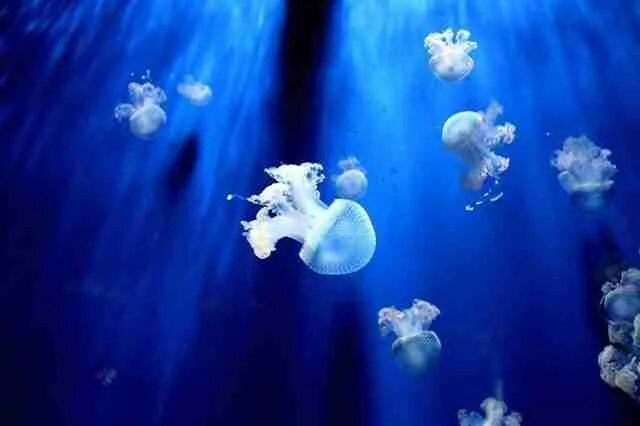 Environment Minister advisory Mostafa Fouda said it’s “not the first time” the jellyfish have overwhelmed Egypt's north coast. Instead, officials think the soaring jellyfish numbers might be due to more food and less natural predators. Global warming has also been suggested as another contributing factor. The ministry has launched a committee to investigate what is causing the “unprecedented phenomenon”. Many popular holiday destinations in Europe lie along the Mediterranean Sea. To the north of the Suez Canal is Cyprus, and to the northwest of that are the islands of Greece. Turkey and Malta are also fringed by the idyllic warm waters of the Mediterranean. Earlier this year Britons were warned about a jellyfish invasion on UK shores. The barrel jellyfish, which can grow up to 88cm in diameter, have been spotted on several beaches in Pembrokeshire, with locals and tourists flocking to spot the mystifying creatures. Though their sting can be extremely painful, most jellyfish can’t cause fatal injuries. The box jellyfish is the most dangerous in the world, with venom so powerful it can be deadly.